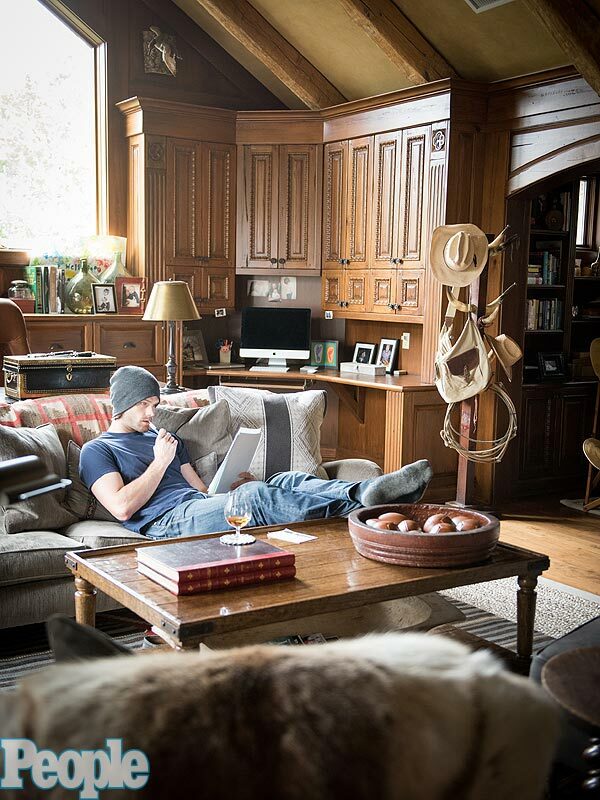 Though Jared Padalecki‘s 10,600-sq.-ft. Austin home boasts a guesthouse, home theater and wine cellar, the actor’s favorite space is his home office. To decorate the office in his Texas lodge—which he shares with wife and costar Genevieve Cortese Padalecki and their two sons Thomas, 3, and Shepherd, 1—Padalecki used meaningful memorabilia like copies of his sons’ footprints. But despite being surrounded by family treasures, this is the one place the CW star comes to be alone. For more of our interview with Padalecki, and to get a peek inside his Austin house, pick up the latest issue of PEOPLE, on newsstands Friday.